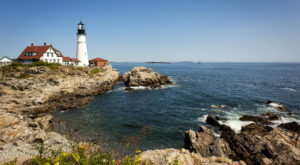 Maine has 3,478 miles of coastline and over 5,000 miles if you include the islands off the coast as well. That’s even more than California, who has just a measly 3,427 miles. Add the rivers to that and you’ve got more places to enjoy the water than just about any other place in America. 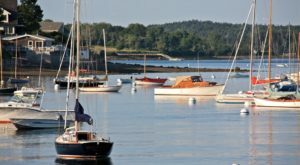 Today we’re rounding up some of our favorite waterfront towns in Maine to give you some ideas for how to get more of those perfect Maine breezes. 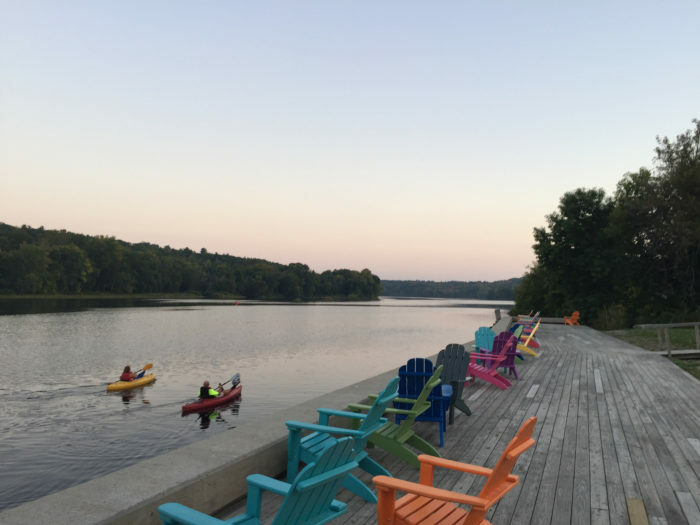 There are the obvious things that make Damariscotta a joy. 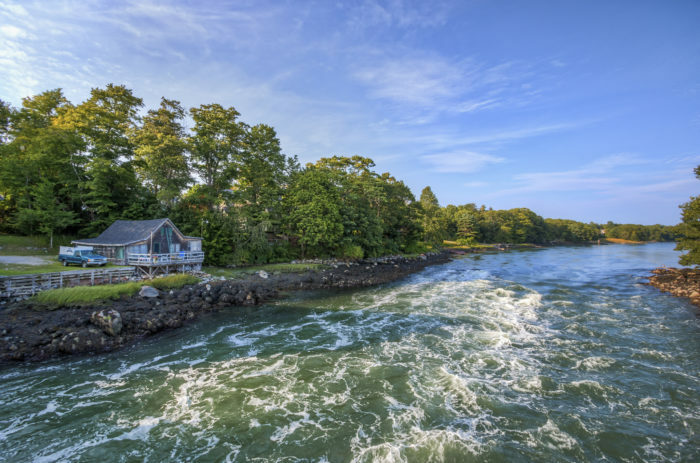 First, there's the fact that it sits along the tidal Damariscotta River providing beautiful views. Then there's the oysters! Not to mention the shopping, the food and the shipbuilding roots laid into its history. To enjoy the river (after eating its oysters) take a trip on the River Tripper through Damariscotta River Cruises. Portland is a great city to visit if you love food, bars and shopping. 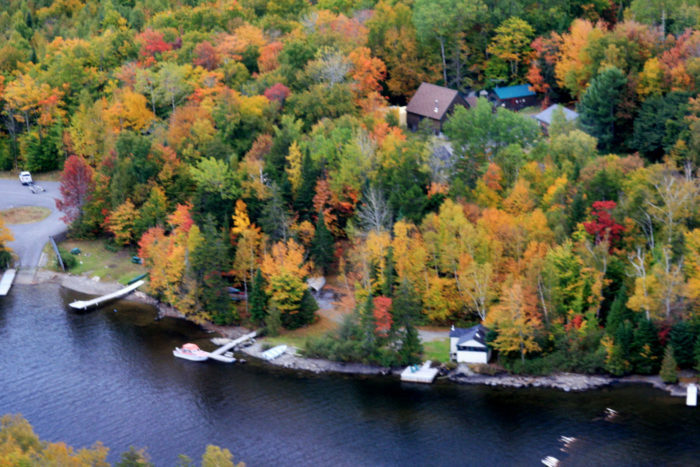 But what makes it truly stunning is the fact that it's nearly completely surrounded by water. The peninsula provides beautiful views across Casco Bay, which are only made better by the boat rides you can take to explore the islands. 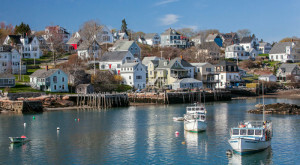 Want a coastal town that's not overdone with a nautical motif? Come to Hallowell. It represents the best of riverfront town. 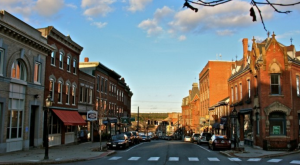 Visit for access to the Kennebec River, along with a thriving main street full of shops, bars, restaurants and community events. 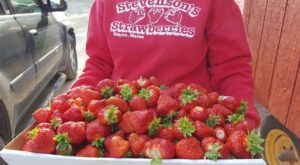 We recently wrote about this town calling it one of the best small lake towns in the state. And, it is! 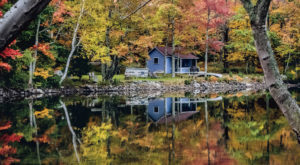 Sitting along a different kid of coast, this small town is the perfect place to use for exploration of beautiful Moosehead Lake. 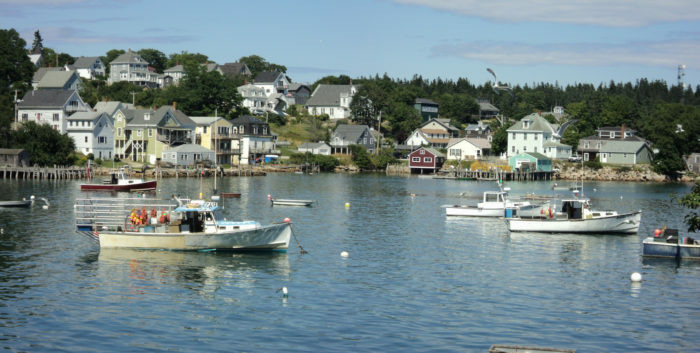 Vinalhaven, the largest town on the Fox Islands, can be reached by taking the ferry from Rockland. 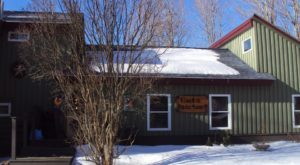 The town has a handful of locally owned bars and restaurants, which are primarily open in the warmer summer months. 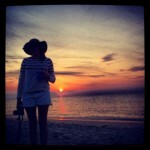 There's lots to do if you love nature, as well. 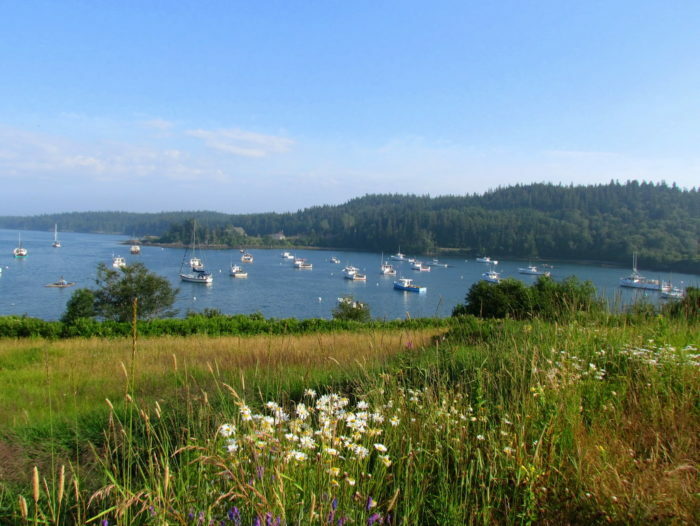 Take a walk in Lane's Island Preserve to see the rocky coast and lobster boats. This sailing town is great for more than just being on the water. Camden Hills State Park will help you work up a sweat while making your way to one of the best views in the area. 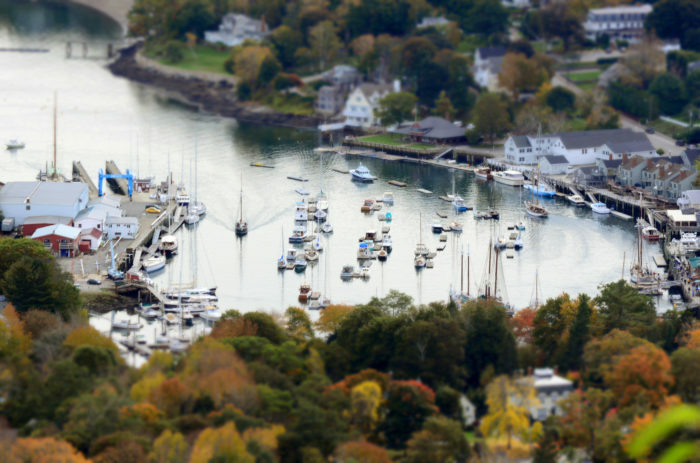 Some people call this town the "Jewel of the Coast" which comes as no surprise after spending a weekend sailing, eating and drinking your way to Monday. When this is the view from the town hall, you know you've found a perfect waterfront town! 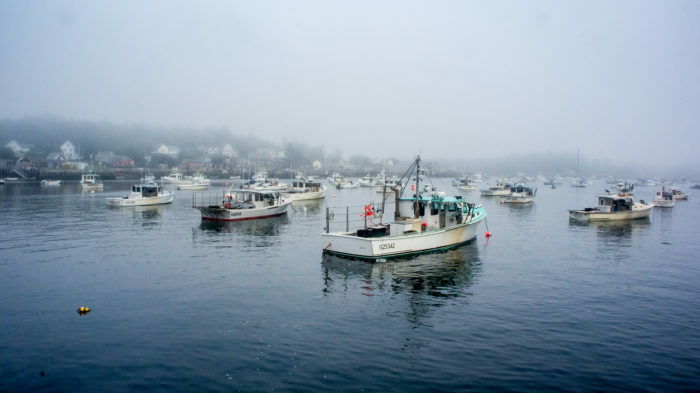 In addition to being a quiet and beautiful place to be downtown, it's also home to the Cutler Bold Coast one of the rockiest seashore areas in Maine. What could be better than that? The puffin community that hangs out here! One of the best things about Blue Hill is how quiet and local it all feels, despite being full of history and great views. It was founded in 1762 after the French and Indian Wars, making it one of the oldest places you can visit in the country. 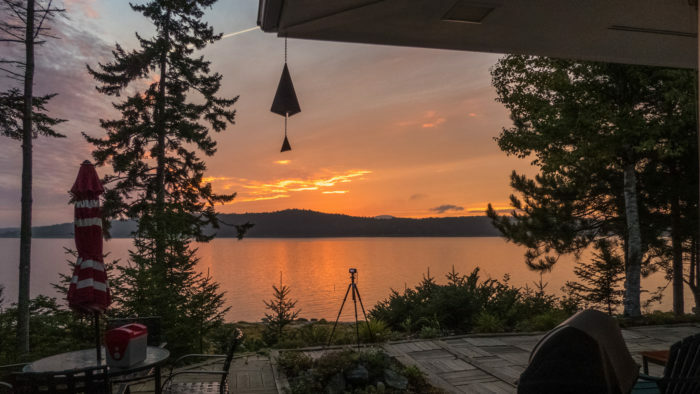 Look out over Blue Hill Bay towards the islands of Mount Desert Narrows for some peace and quiet. Or, simply stroll through town looking at the small boatyards and boathouses that remind us that Maine is still a working fishing state. 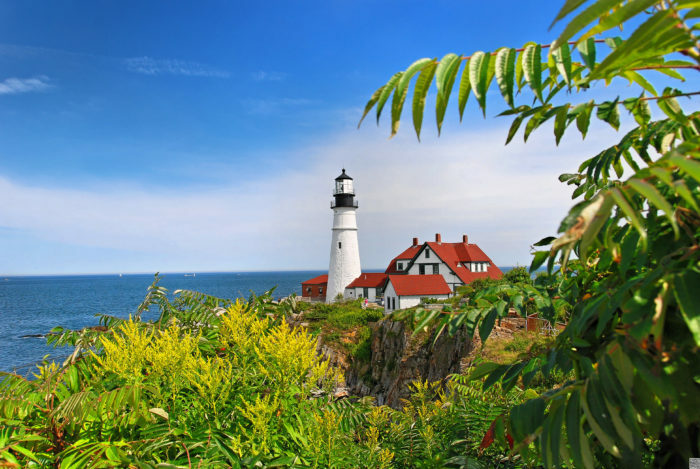 If you're looking for quintessential Maine views, this is the place to get them. 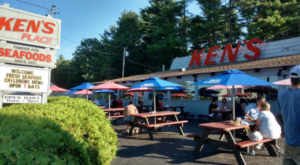 Located just south of Deer Isle the community looks out over Penobscot Bay, including Isle au Haut and the smaller islands. The town is also great for a dose of the arts. Check out the many art galleries, the Stonington Opera House, as well as the local Historical Society. Surry might be a surprise, but it shouldn't be. It's beautiful and unexpected! Just a short way from Blue Hill it offers just a bit more peace and quiet with all the same water access. 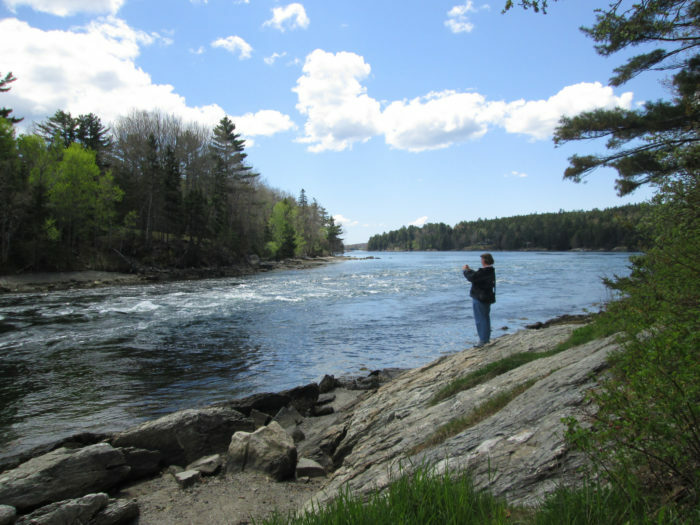 Want to know more about Maine’s water? Check out this lake that’s got water as blue as the sky!